Photo: Drying out on the streets of Khorat. Nakhon Ratchasima, better known as Khorat, is a dynamic gateway to Thailand’s northeastern Isaan region. Some travellers view the provincial capital as nothing but an unfortunate stopover on the way to someplace else. Pack an open mind along with patience and a phrasebook, and you might find that Khorat sneaks up on you as a destination in its own right. Covering 20,494 square kilometres and bridging Central Thailand to Isaan, Nakhon Ratchasima province edges out Chiang Mai as the largest in Thailand. The pull of wealthy Bangkok is easy to sense when exploring the province’s far southern reaches, around Khao Yai National Park, while the northern Phimai area is endowed with the countryside charm, sweeping rice paddies and Lao dialect that are typical of Isaan. At the centre of these geographical and cultural forces sprawls the provincial capital city, home to more than 500,000 people who possess a strong sense of regional identity. Many locals differentiate themselves culturally from the rest of Isaan while not quite throwing their hats into the ring of Bangkok. The mix is evident in som tam Khorat, in which Lao/Isaan-style fermented fish is dashed into an otherwise Central Thai version of this ubiquitous green papaya salad. Since around the 16th century Khorat has been an important administrative centre for Thai kingdoms, a role that continues today. Previously the area was part of the Khmer empire, as evidenced by the impressive 1,000-year-old ruins of Prasat Hin Phanom Wan. While neighbouring Buriram province retains much of its Khmer heritage, Isaan- and Chinese-Thais now make up most of Khorat’s demographic. Quite a few Sikh Indian-Thais and Japanese expats also call the city home. Today Khorat rolls into the future at the speed of a sturdy old pick-up rather than a racecar. For decades it changed very little and was notably tough for foreign travellers to crack, but you’ll now find sleek cafes, cushy hotels and malls that could have been plucked straight out of Bangkok. The old ways of Khorat endure as well, making for an intriguing balance between tradition and innovation. Samlors still ply the streets of an old quarter stretching between ancient moats and fragments of the original city wall. Open-fronted shops display Buddha images at a few of the heritage houses that shine through stacks of drab concrete. In the markets, silk from nearby Pak Thong Chai and ceramics from Dan Kwian are sold alongside the locally produced rice noodles used in pad mii Khorat, a provincial relative of pad Thai. On first glance the city can seem impenetrable for foreign travellers. Few locals speak English; most signs and menus are posted only in Thai; and inner-city public transport comes by way of a baffling number of songthaew routes. You may be forced to embrace the idea that travel should sometimes take you beyond your comfort zone. If that doesn’t sound too scary, hop off the bus and give Khorat a go. And when you’re ready to move on, Khorat’s seething web of transport options can take you just about anywhere in the kingdom. 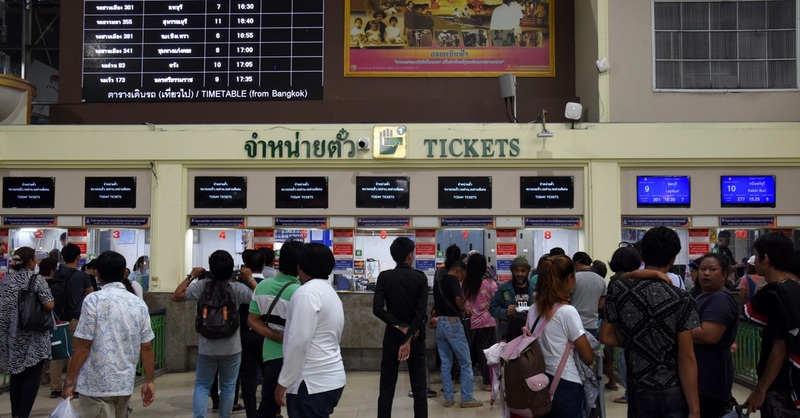 We reckon that one of the two bus stations is larger than any in Thailand outside of Bangkok, while a pair of train stations makes it possible to strike west towards Khao Yai and Ayutthaya or further east and north into Isaan by rail. Located 250 kilometres northeast of Bangkok, the city of Nakhon Ratchasima (Khorat) is arranged in an east-to-west configuration. It’s possible to walk from one side to the other in around two hours, or you could hop in one of the many songthaews, tuk tuks and samlors when your feet get sore. In a public square at the centre of town stands a monument to Ya Mo, or Thao Suranaree, the noblewoman who successfully led a revolt against Lao captors after a 19th-century Lao invasion of Khorat. The monument draws streams of locals paying homage to Ya Mo, and a vibrant atmosphere flows through the adjacent north-to-south-running streets: Ratchadamnoen to the west and Chumphon to the east. Rimmed by ancient moats on all four sides, the rectangular-shaped old quarter stretches east from Ya Mo for two kilometres along west-to-east-running Mahathai, Chomphon, Assadang and Yommarat roads. Great for street photography, this area has a lower-key vibe than much of Khorat and features some interesting temples along with loads of Chinese shrines and old shophouse businesses. Jira train station (one of two in the city) is located just south of the old quarter, a five-minute walk east of Ratchadamnoen. Stretching west from Ya Mo is a slightly more modern part of the city along west-to-east-running Suranaree, Pho Klang and Jomsurangyad roads. Just west of Ya Mo on Suranaree, the bustling area surrounding Mae Kim Keng Market should not be missed. Keep west along any of the main roads on the west side of town and you’ll reach a four-way intersection, where Mukkamontri Road continues west for another 500 metres to the main Nakhon Ratchasima train station. A little more than a kilometre southeast of the train station down Pibol Lalad Road and accessible by songthaew 11, Bueng Talua is an artificial lake rimmed by a park that’s great for a late-afternoon jog or picnic. Shooting into the city from Khao Yai and other western points, Route 2 (Mittraphap Road) is a multi-lane highway that passes The Mall Khorat before cutting north near the city centre to Bus Terminal 2, and then continuing up to Phimai and Khon Kaen. Highway 224 shoots southeast from the east side of the city and runs down to Dan Kwian and Buriram province, where Phanom Rung can be hit as a long day trip from Khorat. Highway 304 runs south from the west side of town to access Pak Thong Chai and the mountainous Wang Nam Khiao area. Full-service bank branches and ATMs dot the city’s main roads, including several near Bus Terminal 1 on Suranaree and inside Klang Plaza 2. Internet shops include Hybirdman Internet located a five-minute walk west of Sansabai House on Suranaree, and Light Computer, found across from a playground and just northwest of Ya Mo on Ratchadamnoen. The city’s best place for medical care is probably the private Bangkok Hospital located off Mittraphap, three kilometres northwest of Ya Mo. It’s one of nearly 30 hospitals found in the city. A tourist police office is inconveniently located several kilometres north of town off Route 2; you may be better off seeking help at the provincial police headquarters off Ratchanikun Road, just north of Jira train station on the south side of town. Open from 08:30 to 16:30, the Tourism Authority of Thailand offers maps and tourist info at an office next to the Sima Thani Hotel off Mittraphap in the city’s western reaches. If you need a visa extension, the Nakhon Ratchasima immigration office is found in Dan Kwian, 20 kilometres southeast of Khorat city off Highway 224.  Please sign up as a Travelfish member to download the Nakhon Ratchasima guide PDF (5.3 MB, 31 pages). Membership costs just A$35 per year (less than A$1 per week) and gives you access to over 250 PDF guides. Last updated on 7th September, 2016. Browse our independent reviews of places to stay in and around Nakhon Ratchasima. Read up on where to eat on Nakhon Ratchasima. Check out our listings of things to do in and around Nakhon Ratchasima. Read up on how to get to Nakhon Ratchasima, or book your transport online with 12Go Asia. Planning on riding a scooter in Nakhon Ratchasima? Please read this. 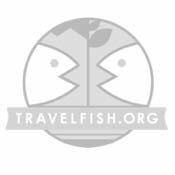 Use the above map to find specific destinations in and around Nakhon Ratchasima which are listed on Travelfish. Bed icons indicate a guesthouse, hostel or hotel, the knife and fork is an eatery or bar and the four-way circular thingy marks sights, attractions and other points of interest. Click on any icon for a short pop-up and a direct link to the page for that spot. If you are in the area, use the teardrop icon near the top left to show your position on the map (you'll need to allow position sharing for this last feature to work).